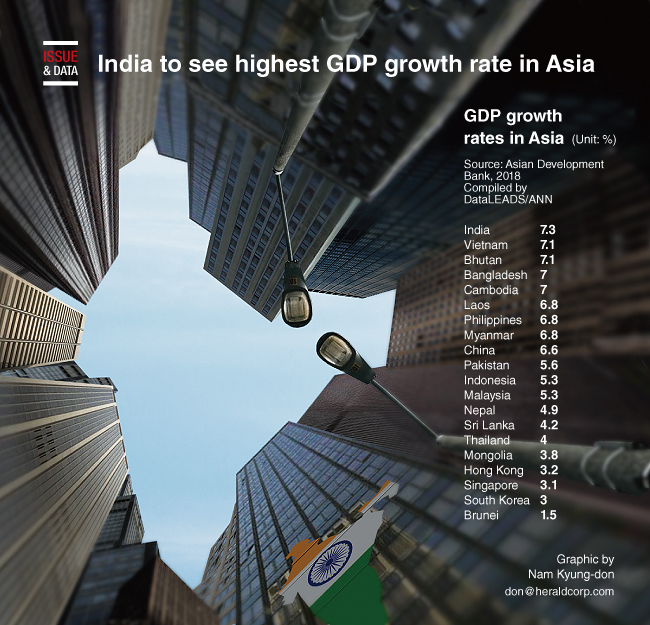 The Asian Development Bank projected that India would see the highest gross domestic product growth rate in Asia in 2018 at 7.3 percent, though this is lower than the nation's growth rate of 6.7 percent in 2017. Vietnam and Bhutan are forecast to see the second-highest GDP growth rate in Asia at 7.1 percent. The former's growing workforce has been instrumental to its growth, boosted by export expansion, rising domestic consumption, strong investments, and a strengthening agriculture sector. Bhutan has built its economy on clean energy generation.